An unexpected vote at the National Association of Hispanic Journalists’ board meeting Wednesday may jeopardize a planned partnership with the California Chicano News Media Association — a deal that would have united the two groups for the first time in 35 years. In the hours that followed, both organizations offered conflicting accounts of the decision and NAHJ’s motivations for postponing, or undoing, the merger, which has been in the works for the past two years. NAHJ said in a statement after the meeting Wednesday that the organization will spend the next month reviewing its partnership contract with CCNMA, an organization for Latino journalists in California founded in 1976 to promote Chicano inclusion. CCNMA said in a blog post that it was “blindsided” by the vote, which its members said could ultimately lead to the deal’s undoing. NAHJ maintained that the partnership has not yet been revoked, and that it only voted to postpone making a final decision. The organization cited legal and financial concerns it later expressed in a letter to CCNMA. “This move was totally premature, unnecessary,” CCNMA President Joseph Rodriguez said in a statement published in a blog post Wednesday night. NAHJ issued its own statement saying the association is “in good financial standing” and at a 7-year membership high of 2,125 members. Former NAHJ President Mekahlo Medina, who was instrumental in crafting the contract between the two groups, urged the board to uphold the agreement and suggested that NAHJ was not meeting its end of the tentative deal in a letter that he later posted to his public Facebook page. Prior to the meeting, it was not clear what aspect of the deal NAHJ’s board intended to discuss. The agenda itself was vague, listing only the organizations’ initials. One major aspect of the agreement was the hiring of a new part-time administrator, who would have worked on recruitment, development and sponsorships for both organizations. According to the CCNMA statement, the hiring of this manager — not the future of the proposed partnership as a whole — was up for a vote at NAHJ’s board meeting. In a March letter, CCNMA said that NAHJ was not meeting its end of the deal and had never put in the funds to hire for this position. Medina went on to accuse Benavides of mishandling organization monies. This story has been updated. For the latest, follow The Latino Reporter on Twitter at @latino_reporter. ← A notorious LA gang nearly ruined this teen’s life. He’s taking it back. Teo Armus explores the world one article at a time. 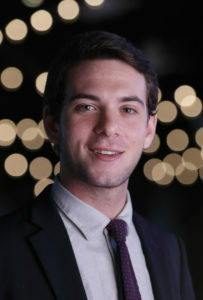 Armus, a 21-year-old Columbia University student, began immersing himself in journalism at his New York high school. There, he found that he prefers reporting to creative writing. Through journalism, Armus hopes to open the worlds and experiences of others. He hopes to bring his own perspective — that of a New Yorker, the son of Argentine immigrants, and a Latino — to issues related to underrepresented communities.